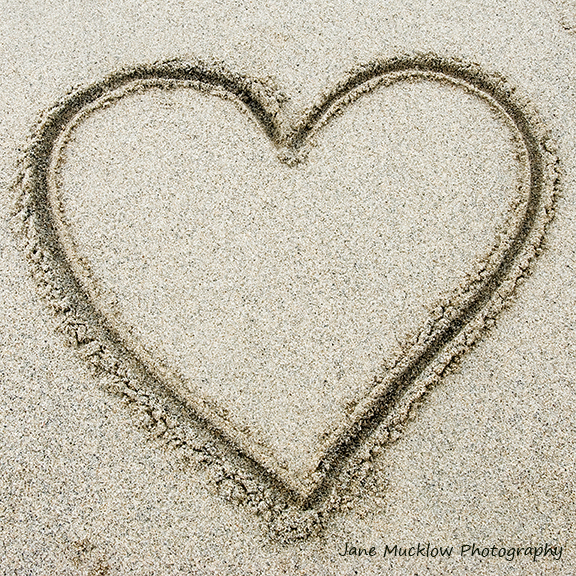 A beautifully soft cream cushion, stylishly printed in black with a heart – taken from a photograph of a heart drawn on a sandy beach. 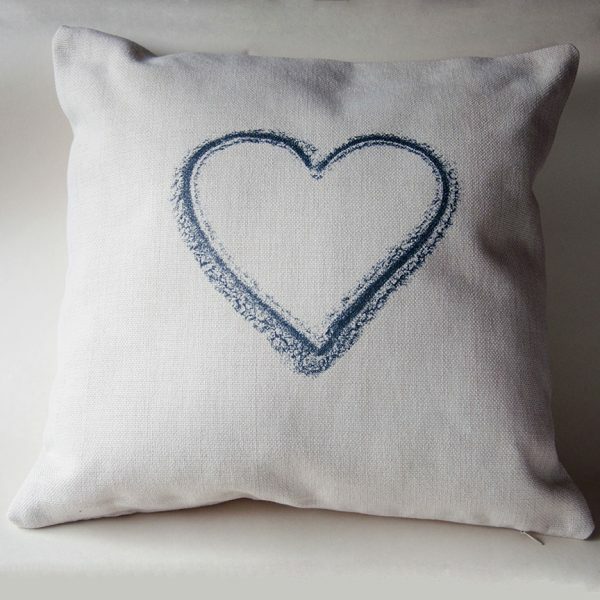 A beautifully soft cream cushion, stylishly printed on one side in black with a heart – taken from a photograph of a heart drawn on a sandy beach. 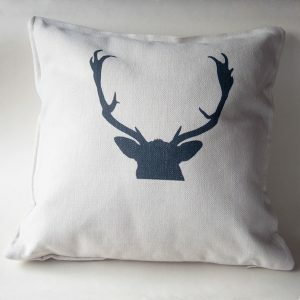 The natural/cream linen cushion cover is 40x40cms, with a zipped opening, and come complete with a cushion insert. It can be machine washed at up to 40 degrees inside out, and are more durable if dried naturally. Iron on the reverse only, not on the print. 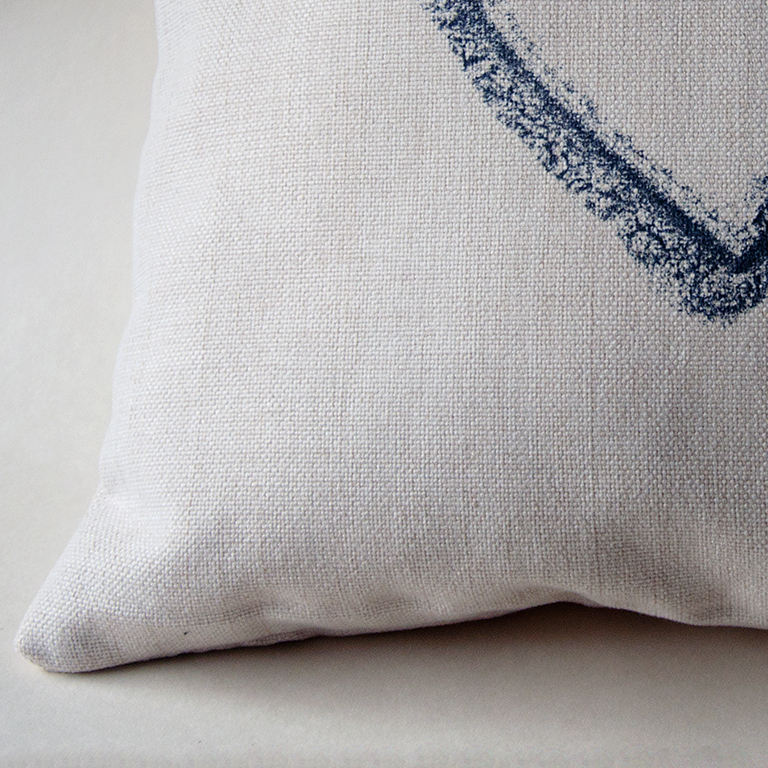 A detail of the corner of the cushion is shown in the extra photos, to show the soft texture of the cushion, and the original photograph is available as a greetings card.